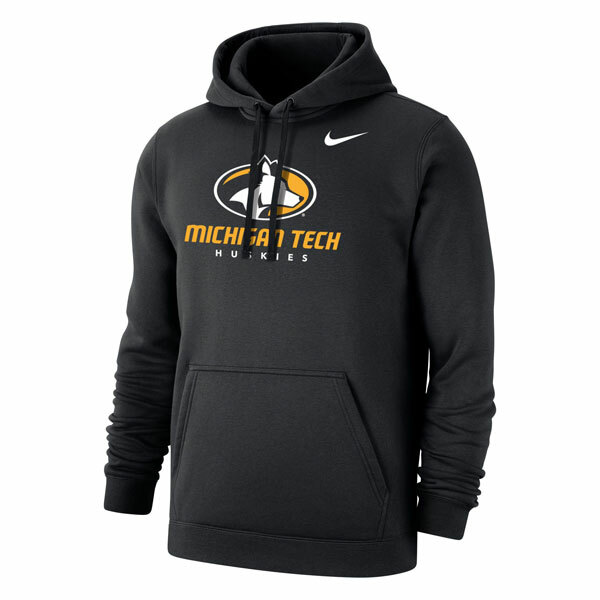 #10CC NIKE HOOD WITH MICHIGAN TECH LOGO PRINT. FRONT KANGAROO POCKET AND THREE-PIECE HOOD. RIB KNIT CUFFS AND BOTTOM HEM. HOOD DRAWCORD WITH MATTE RUBBER TIPS. MACHINE WASH WARM, TUMBLE DRY LOW. 80% COTTON, 20% POLYESTER BRUSHED FLEECE HOODY.